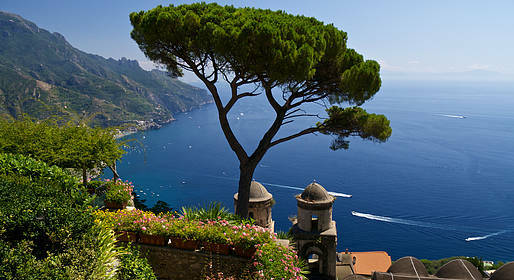 Capri has a dramatic coastline which can only be appreciated by sea. We highly recommend a Capritime Tour in one of our boats around the island to discover the natural beauty of the island. 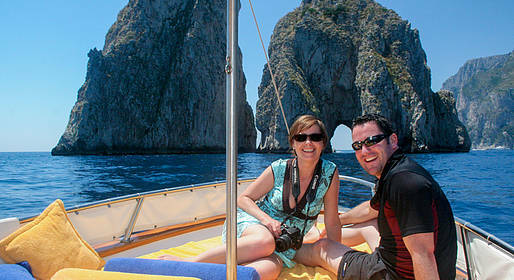 Seas permitting, we visit the Blue Grotto and White Grotto during our private island boat tour. 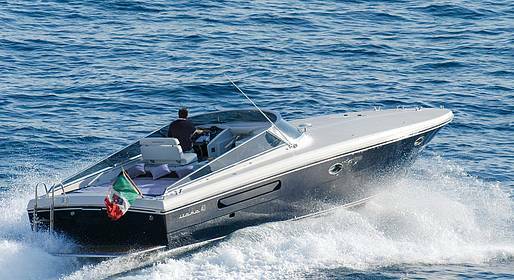 We have traditional Capri boats called "gozzo" available for your Capri boat tour or we have luxury speed boats for those interested in upgrading services. In addition, we will be happy to provide you with private transfers to/from Capri on our luxury speed boats, sail boats, or yacht charters. Combine a boat tour around Capri, Italy with a guided walk through the most breathtaking island scenery in this full-day Capri tour by land and sea. Capritime can arrange transfers by land, sea, or private helicopter: arrive on Capri quickly and comfortably from the airports and train stations in Rome and Naples.